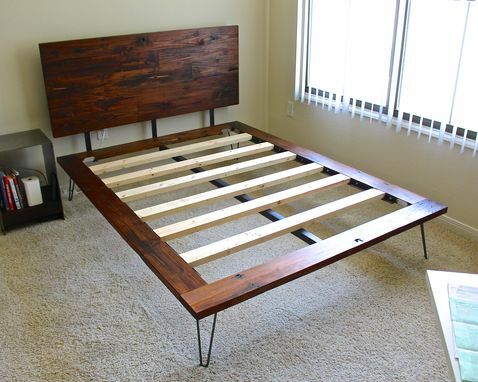 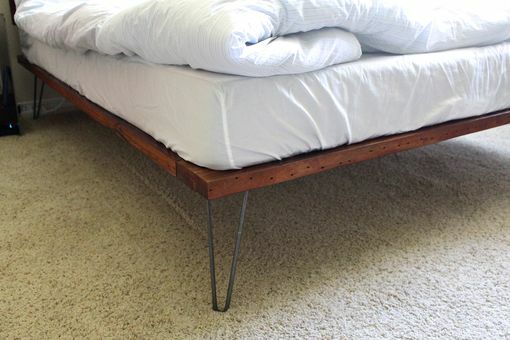 This case study bed is made of reclaimed pine wood, with 12" hairpin legs and three headboard brackets. 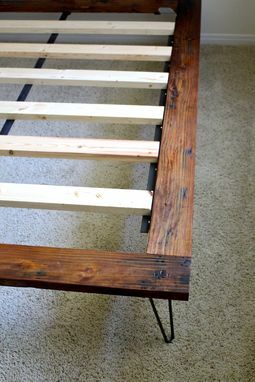 It has metal supports where the wooden slats lay across to add to the overall strength. 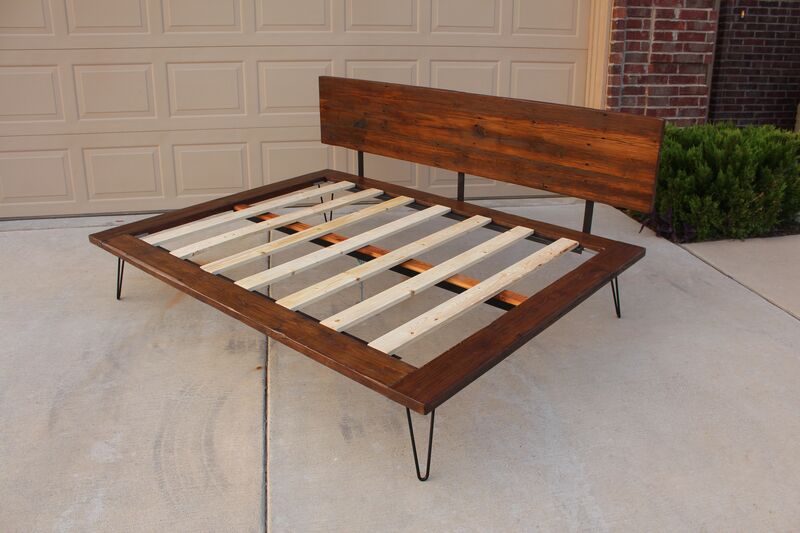 All wood has an oil base finish applied, and all metal has a matte clear coat. 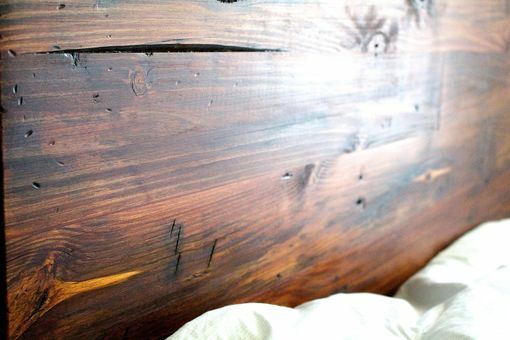 Wood can be stained any color desired, or left natural. 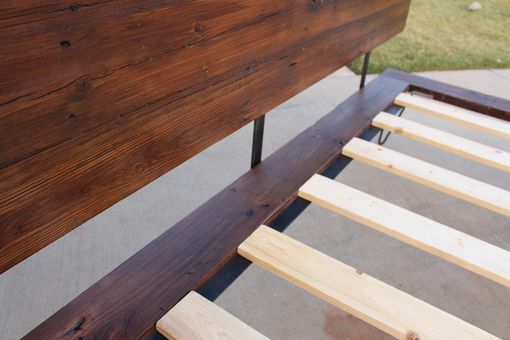 Slats will be finished, but not stained.